There are times when there is nothing better in life than good food, good friends, and time spent together. 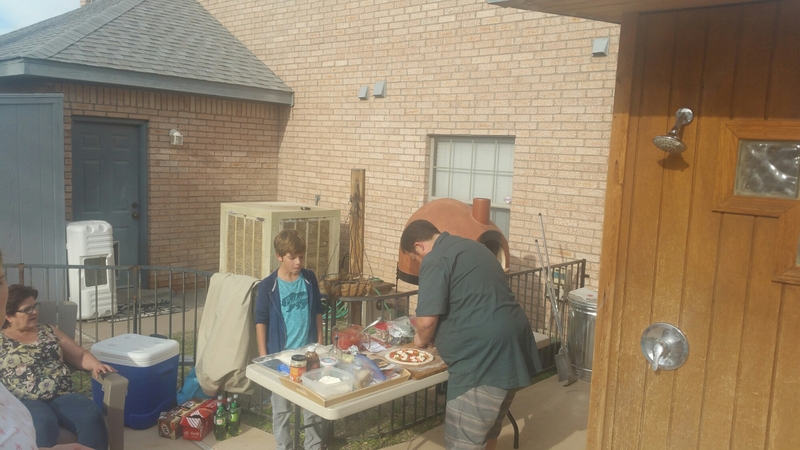 Here is a picture of Justin making scratch built pizzas in his wood fired pizza oven. An evening with friends. I really like wood fired pizzas, I have been cooking these pizza and I know what’s the feeling of your family when you prepare a delicious pizza for them. Pizza is such a happiness!